The Canary, Software Exciter/Enhancer from Black Rooster Audio. 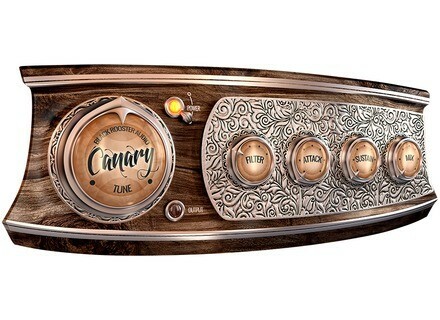 Black Rooster Audio offers The Canary, a free drums-oriented exciter for Windows and Mac OS X. According to its developpers, The Canary can make your drums sound crisp and full while giving all the shells in your set that extra punch you may be after. Wait a minute, all this from a canary - does it bring back any childhood memory?... Well, anyway, it seems there are currently quite a few problems at least for some Cubase users working under Windows, BUT certainly it will end up being solved and in the meantime it likely will prove useful to those who can have it running with their configuration. Downloadable for free (no dongle/iLok needed, but registration is required) at blackroosteraudio.com. Overloud offers 60% off TH2 For a few days, Overloud's TH2 is available at a special price for both new users and candidates to an upgrade path. BluGuitar Remote1 and LooperKit BluGuitar announced that the long-awaited REMOTE1 controller for AMP1 and the optional LooperKit are now available at dealers worldwide. Impact Soundworks Shreddage 2 IBZ Impact Soundworks has released Shreddage 2 IBZ, a virtual guitar sample library designed for rock & metal music.